Look at this grumpy cat. How can he be so angry and dressed ugly? Let's fix it! Girls, in the game you can try any clothes and things that prevent him from smiling. 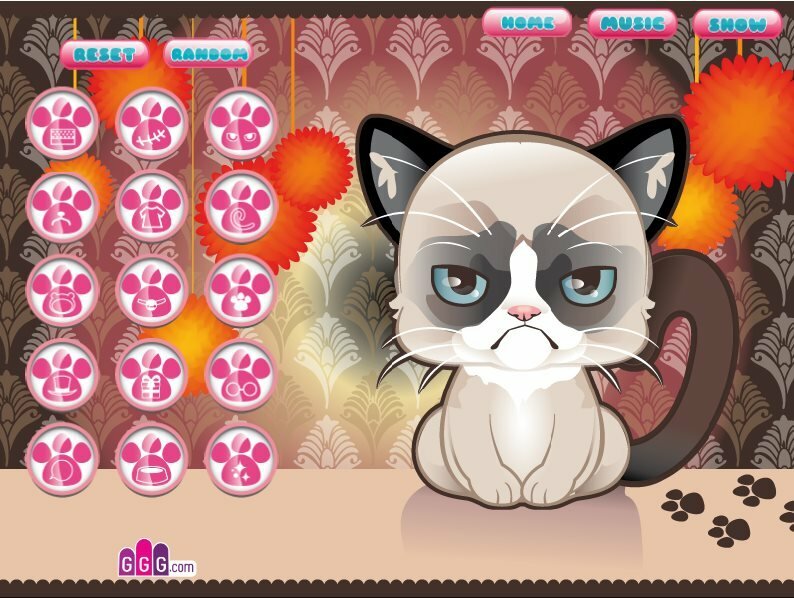 In addition, select the eye color, shape of the mouth and all the stuff to make the cat start smiling. The game has a button Random. 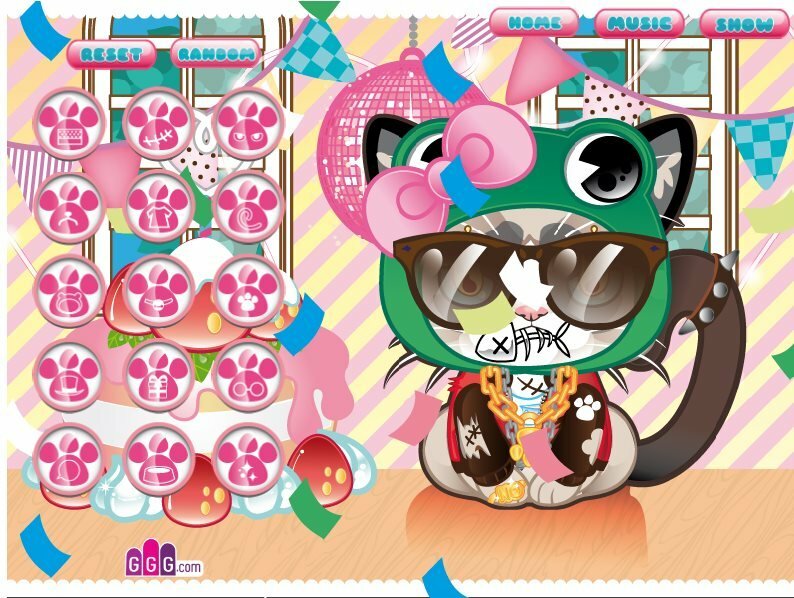 By clicking on it you will get interesting options to dress the cat. Try to click on it many times.You will get a very funny cat! Control the game only with the mouse. Press the button at the top to select a random outfit for an animal, to show the finished result or return to the original attire. 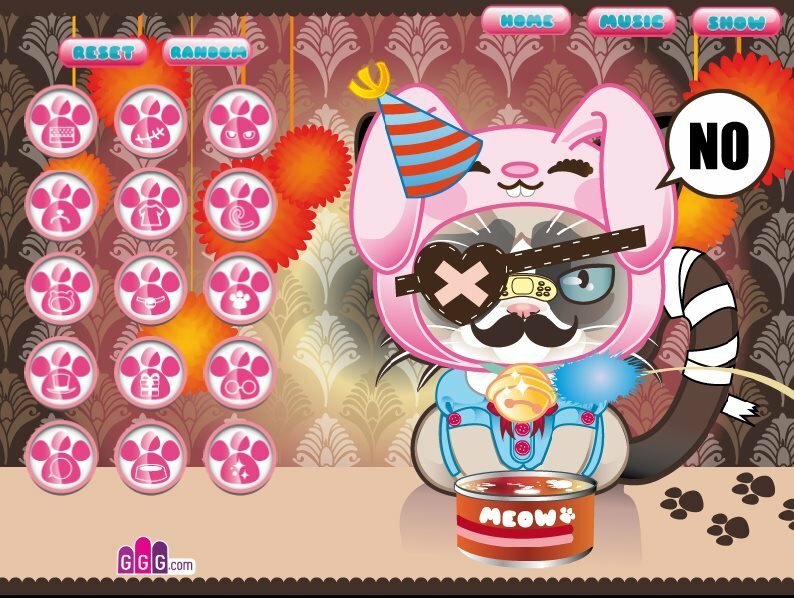 In addition, you can click on the Random button and get the most ridiculous and funny images for our beloved pet. This is probably the most fun in this game. You can visit the game every day and raise your spirits. So you can add a game to favorites and to visit the site fungirlsgames.net at the right time to play it again. Played: 20430. Added: 21-05-2015, 23:28.